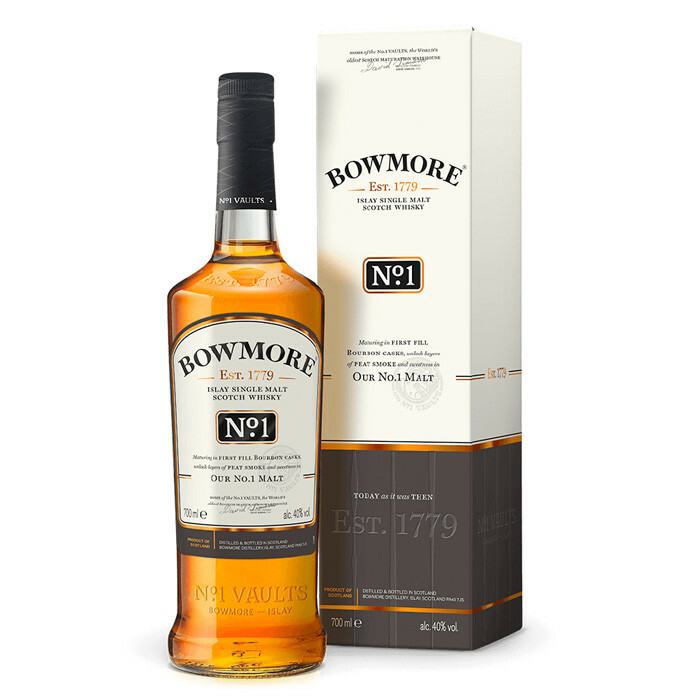 Bowmore No.1 is producing using single malt Scotch whisky drawn exclusively from first-fill bourbon casks, imparting a creamy sweetness which blends well with the robust Islay smoke that Bowmore is known for. Nose: Nutella on brown bread, sea salt and a hint of lemon zest. Palate: Vanilla notes are up front and sweet (though earthy vanilla pod does appear after a minute). Plenty of coastal peat smoke.